Ashland Art Works on Oak Street showcases the art of fifteen local artists in five galleries. 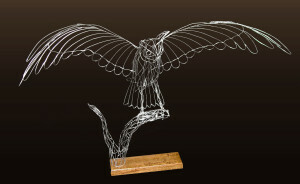 This month’s featured artists are Michael Gibson, oil paintings, and George Popa, wire sculpture. 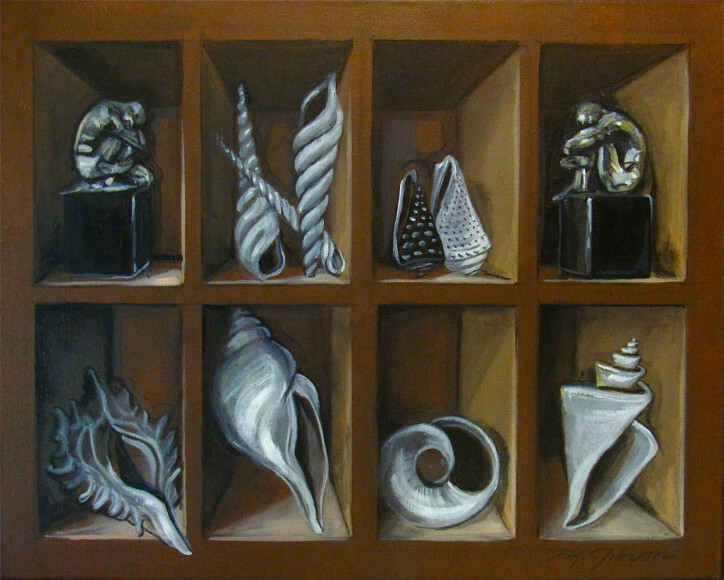 Michael Gibson’s passion for art, travel and antiquities is reflected in his new display of trompe l’oeil paintings called “Collections.” George Popa’s sculptures are three-dimensional sketches using stainless steel wire. 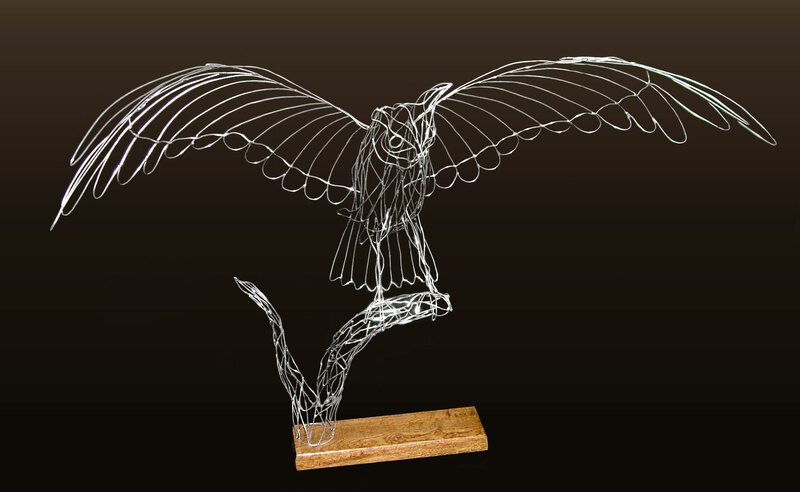 In a new exhibit, “Open Wings,” George looks at flights of nature, flights of technology, and flights of fantasy. “Open Wings,” by George Popa. 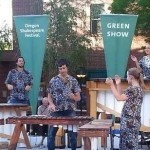 Green Show performers Rutendo Shumba Marimba Bands, First Friday, June 5, 2015. ←Previous Post: Claudia Law Featured Artist – Fibers, paint and thread sketching make rich, colorful art quilts.